The new Clutch With Chain came into high fashion with much confident. It didn’t needed to get tested before expanding, because the house knew we would adore it. There is also a pearl edition unleashed this season and we belief more styles will come in the upcoming collections. The Clutch With Chain shouldn’t be confused with the Small Clutch With Chain, because it features a flap. When comparing with the Wallet On Chain, we found out that this Clutch With Chain is smaller in size. 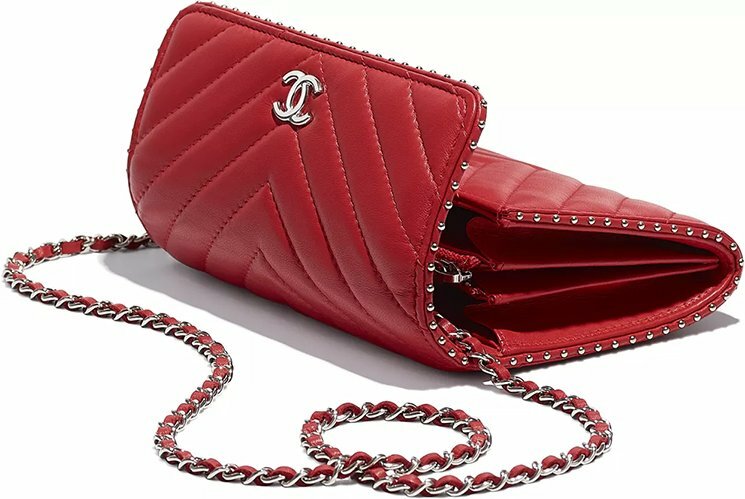 But let us introduce this new style – the Chanel Chevron Clutch With Chain from the Pre-Fall 2018 Collection. 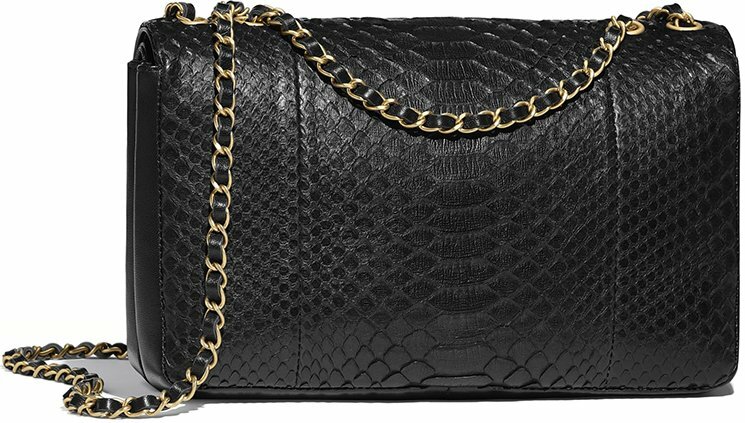 The Clutch With Chain is a gorgeous yet classic looking shoulder bag. It’s made with chevron quilting for the timeless feel. The stitches are very vivid and are in lined with the flap and the lower body. The center features the smooth signature CC logo and it also comes with the iconic woven chain leather strap. So the style is basically like the ‘classics’, but there is one more design embellished that makes it truly urban-like and seasonal. It’s the side-studs. Little pearl-like studs have been embellished around the flap and the sides of the bag. These studs add a bit of excitement and shine to the overall look. The bag is made from lambskin, which is super-soft and ideal as a luxurious evening accessory. The interior is separated into 3 compartments with a central zip pocket. There is also a patch pocket on the back. Style code A81216, measuring 4.1’ x 1.2’ x 5.9’ inches, priced at $1950 USD, $2425 CAD, €1670 EUR, £1500 GBP, $2850 SGD, $15300 HKD, $2780 AUD, 7620 MYR via Chanel boutiques. It’s Chanel again with the latest Fall Winter 2017 Collection Act 1. This line has just been released and we’re about to talk about the top 3 most beautiful and interesting seasonal handbags. We also looked for a reasonable priced flap bag that resembles to the Classic Flap Bag. And, we have found it; let’s check it out. 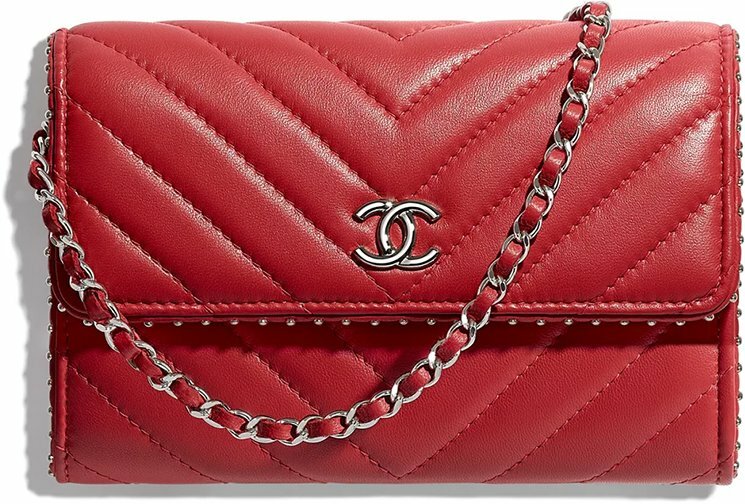 For the Chanel bag dreamers, your flap bag is not that far away. Meet the Chanel Chevron Edge Flap Bag; it has the size like the small Classic Flap Bag, but it’s much cheaper. 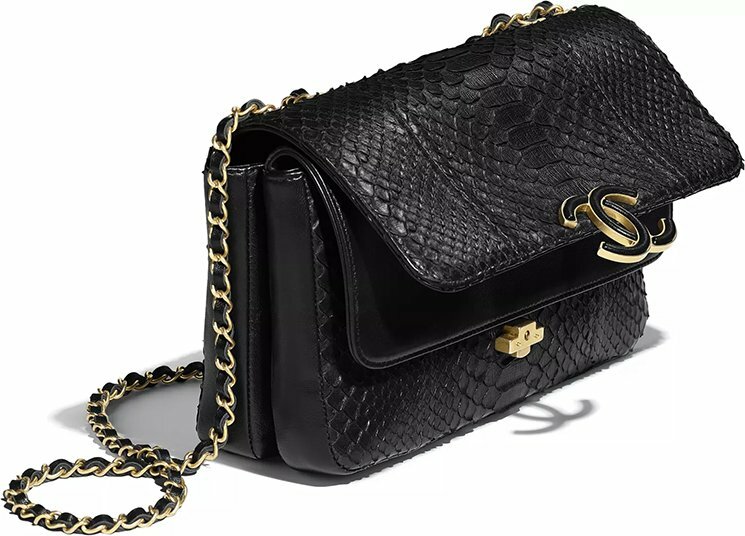 Today, the Small Classic Flap Bag retails for 3990 euro (even after price decrease) while this new beauty is just priced at 2600 euro. You should be excited, because it’s designed with classic elements. 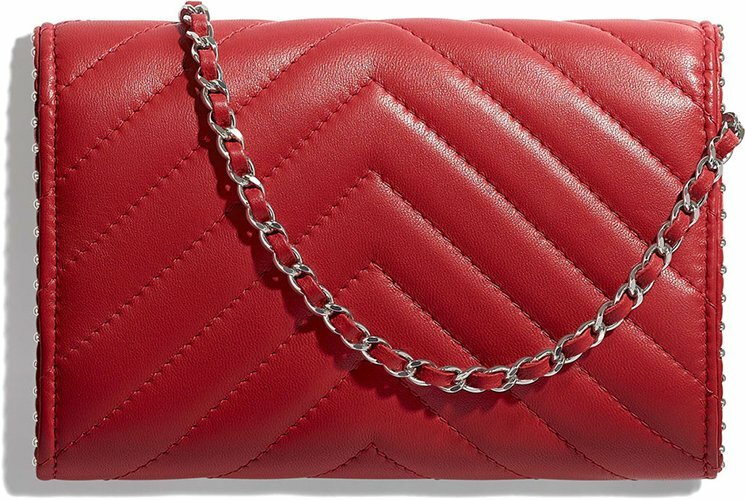 First of all, this bag is chevron quilted, which creates a timeless look. Then it’s made with the same interlocking CC logo like the Classic Flap Bag in smooth hardware. The top is refined with woven chain leather strap – another signature design. One major different is the smooth leather edges, which is what makes this bag unique. What is the Business Affinity Flap Bag? It looks like a workbag, you know, when you go to your office. It has those beautiful curvy handles – tote it, all the way to high street. This bag is refined with the classic interlocking cc logo. The flap is made in smooth leather while the front pocket (behind the flap) is designed in chic quilting. Just take a look and fall in love with it, don’t resist. The pink color in golden hardware is just irresistible. When a bag is gorgeous and it has a timeless look, then it’s an instant-buy sign. Take a look at the latest Chanel CC Vanity Case. The oversized CC logo on the front reminds me of solar eclipse – the moment when the sun is overshadowed by the moon. It’s black in the center and highlighted in gold on the edges. The bag comes with a leather strap beautified with woven chain links. The top is made with double zipper. The body of the bag is made with smooth leather, but what’s even more exciting is the top. If you take a closer look, you will see that the bag is also designed in quilting. 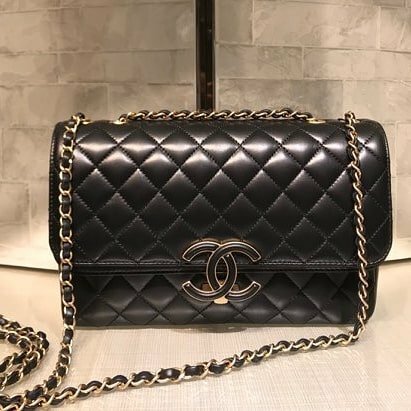 For women who are on a lookout to finding a New Chanel bag to complement their style, look no further as the odds are in your favor. 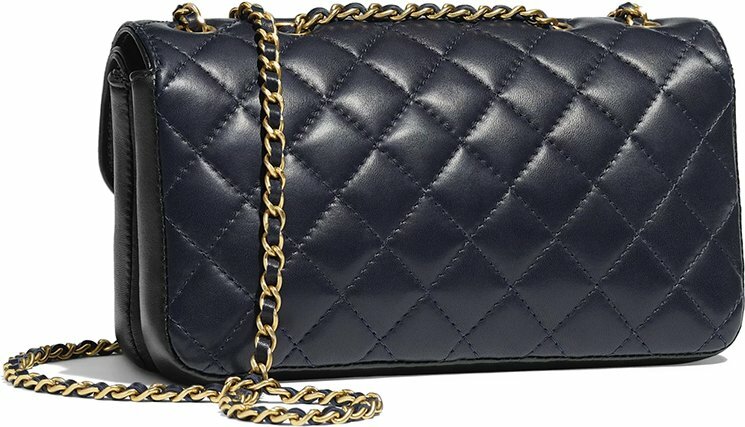 Presenting the Chanel Lady Clutch with Chain, which looks every bit of a feminine bag fancy! 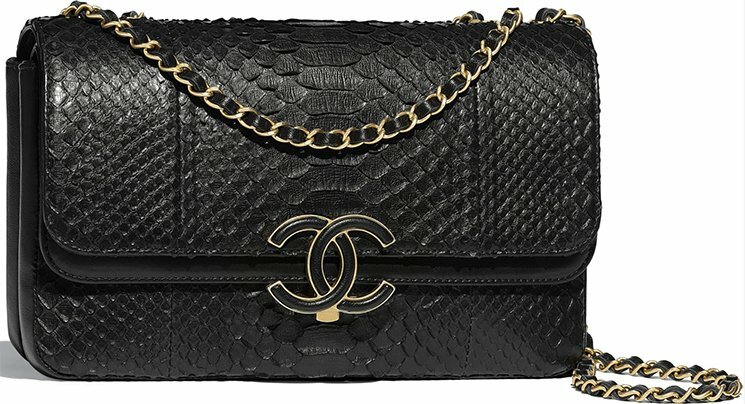 The Chanel Lady Clutch with Chain is something we’re excited to talk about because of its unique and distinctive design. If you’ll observe, it actually features two designs as the middle is styled in a clutch-like fashion while it is elegantly wrapped in thick diamond quilting. The other feature you’ll also notice would be the round-like clasp in the middle, which has double purposes: for security and ease of access. With an irresistible aesthetic appeal, this bag exudes nothing but femininity. You’ll definitely know what we are talking about if you take a good look at it. 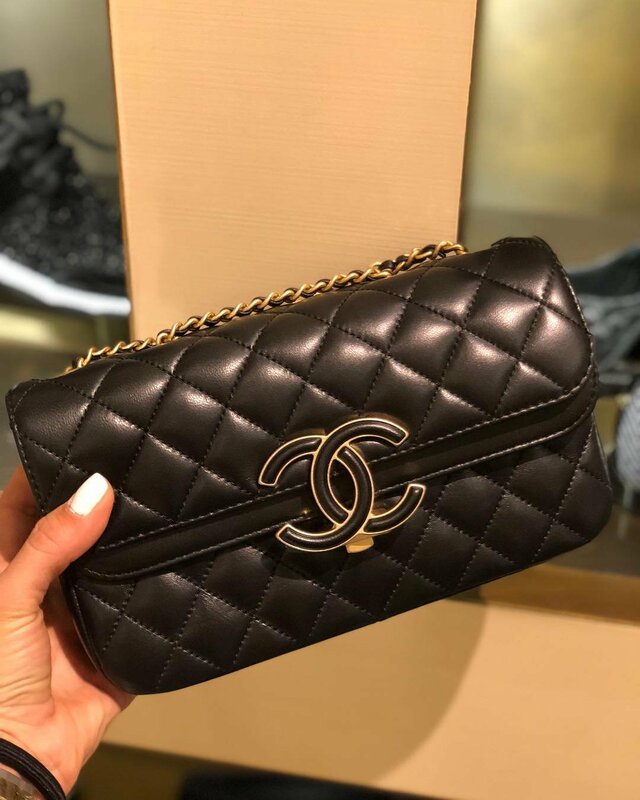 Aside from this, this Chanel bag features the CC logo in the middle for instant brand recognition. It also has an interwoven chained shoulder strap so you can carry it by the shoulder or cross-body. This is a cute mini bag, even cuter than the WOC but not as functional due to its smaller size. This lady-like bag is perfect as a mini evening bag or special evenings because of its chic design. We do not have the style code, sizes or the prices, please check with the SA. If you think you’ve had enough taking a peek into the future, think again as Chanel is bringing us more futuristic bags and accessories. When something is beautiful, we want to see more. So we wouldn’t mind if Chanel bring us more of those futuristic bags and accessories. With a theme entitled “Data Center Chanel”, Karl Lagerfeld is really keeping up with the statement as he brings the Chanel Metallic O Cases to the fashion shore during the Spring Summer 2017 Collection. Made in shiny metallic leather to match the futuristic theme, these Chanel Metallic O Cases prove to be a must-have in every woman’s bag. Why? Aside from the fact that they are fashionably chic, these cases also prove to be handy as you can easily store your essentials inside them such as your wallet, car keys, smartphone and even your make up basics! 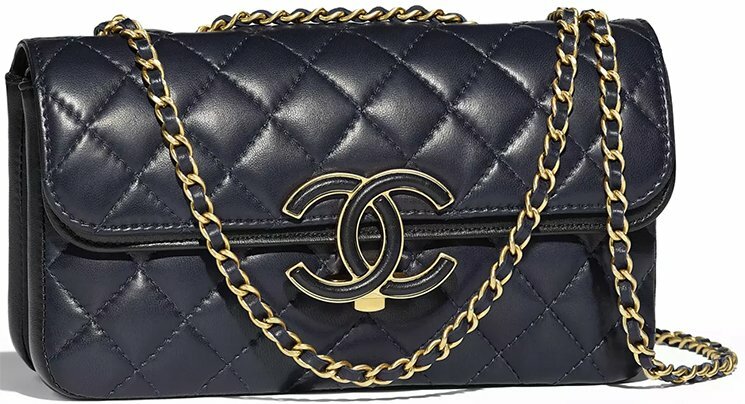 Actually the Chanel O Case is much like the Classic Flap Bag. Both are part of the permanent collection. The Metallic edition is really only available in this season. And for Chanel fans, you’ll notice that instead of using soft silver hardware, these cases are now made in ruthenium hardware to match the metallic leather. And oh, you can always choose from two leathers as they are available in lambskin as well as in calfskin.